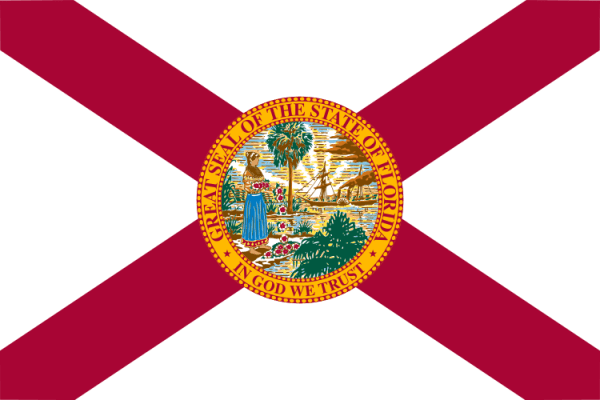 Florida was the 27th state entered into the United States and is the 4th in the country in population with over 19.5 million residents. Ranking 8th in population density, the Sunshine State has the largest coastline in the country which spans along the Atlantic Ocean and Gulf of Mexico. While being a famous destination for beach goers and the retired, Florida is mostly at sea level and has a wide variety of animals like panthers and alligators in its Everglades National Park. The highest elevation in the state is only 345 feet and the average is 100 feet. With Orlando being a popular tourist destination for the theme parks, the capital of Florida is actually Tallahassee, the largest city is Jacksonville, and the most populated metro region is Miami. If you are searching for scrap prices for the Florida region, the iScrap App directory can help you. Users are able to find scrap yards in their area and also check the current scrap prices. Premium iScrap App Profiles have the ability to list their current prices and update them at any time. Also users of the iScrap App have the chance to report scrap prices on the iScrap App at any time. So if a scrapper recently visited a local scrap yard, they can post copper, steel, or aluminum prices their received at their local Florida scrap ayrd. Florida’s economy relies mostly on construction, healthcare, international banking, life sciences, agriculture, and aerospace. The several metropolitan areas throughout the state create the majority of the domestic product throughout the state. Some of the busy cities in Florida for scrapping are Orlando, Tampa, Jacksonville, and Miami. Be sure to the use the iScrap App to locate the scrap yards and auto wreckers in those areas for you to visit. You can check out their information on the map above or you can enter your zip code on our site for the closest locations to your area. You will be able to see current prices or contact yards for further information. If you are looking for auto parts for a repair or are in need of a container for a large quantity of scrap, be sure to contact them today.